Pando (Latin for "I spread"), also known as The Trembling Giant, is a clonal colony of a single male quaking aspen (Populus tremuloides) determined to be a single living organism by identical genetic markers and assumed to have one massive underground root system. The plant is estimated to weigh collectively 6,000,000 kilograms (6,600 short tons), making it the heaviest known organism. 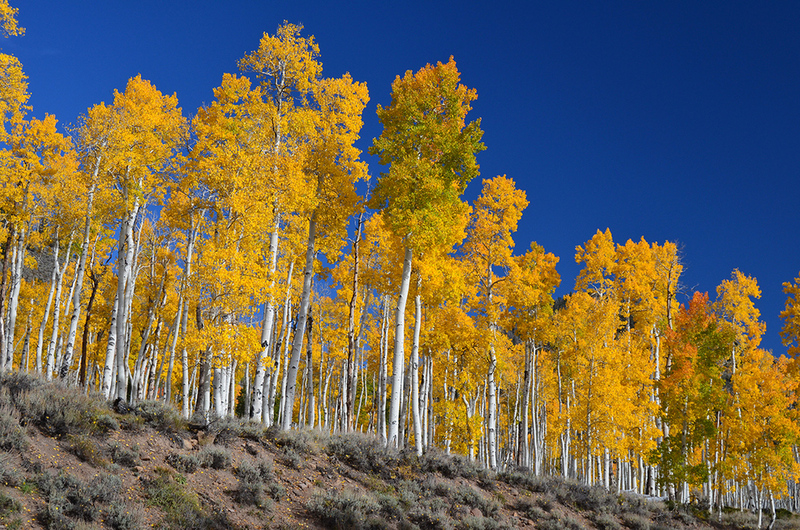 The root system of Pando is estimated to be 80,000 years old and is among the oldest known living organisms. The clonal colony encompasses 43 hectares (106 acres) and has over 40,000 stems (trunks), which die individually and are replaced by new stems growing from its roots. To read more about Pando, click here.